Since our establishment, we have been employing our best resources and efforts in manufacturing and supplying Printed sheets for PP Caps. Highly durable and rust resistance sheets are widely used in various food, pharmacy and battery industries. These sheets are developed under the guidance of our expert professionals using modern machines and tools, as per the industrial laid guidelines and norms. 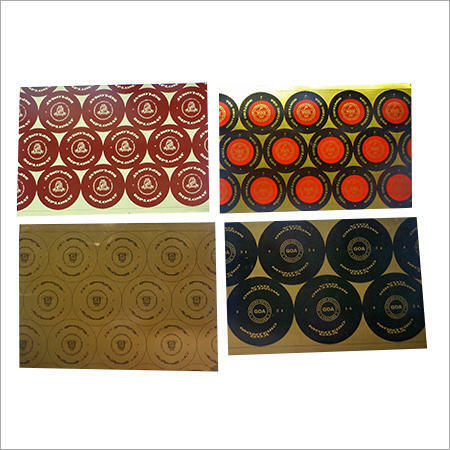 Our manufactured Printed sheets for PP Caps are tested on various accuracy in printing, longevity, corrosion resistance and color fastness parameters before it is dispatched to our valued patrons. Based in a strategic location of Mumbai, Maharashtra, India, we are a well reputed manufacturer and supplier of Aluminium Pp Caps, Aluminium Pp Caps Products, Pharmaceutical Closures, PP Caps, Locker Sheets for Injection Seals, Printed Metal Sheets, etc. We also provide Plate Making, Designing and Printing Services as a professional service provider. We have a state-of-the-art infrastructure which backs us in conducting our business processes in a trouble-free manner. Our team of dedicated, self motivated and expert professionals put their best efforts to take our firm to a remarkable height of success.